More than $3 billion of venture capital was invested in drones over the last 5 years; Peaking at more than $1 billion in 2017. The rapid acceleration of investments in drone and robotics has created a robust ecosystem and has enabled the deployment of many new public and enterprise applications. 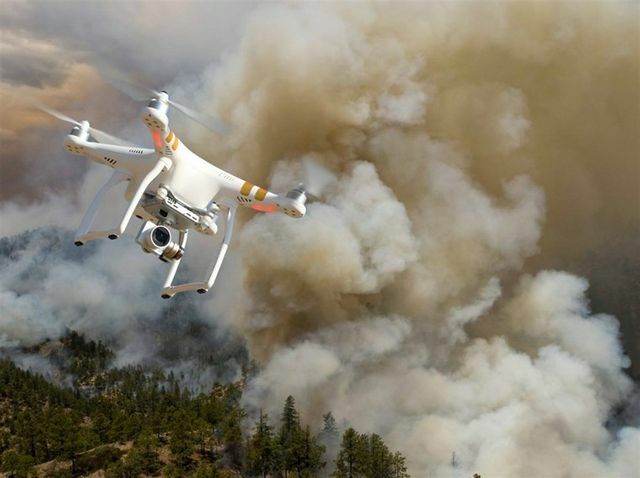 Over the last year, drones were used in search and rescue, assess hurricane damage and monitor wildfires. Autonomous vehicles took to the streets of US cities for test and evaluation; and maritime systems collected new ocean data to monitor weather and fish populations. Q3 2018 drone VC investment fell sharply to $50 million; Expect further industry consolidation. This is after a record Q1 of more than $260 million, based on data from the Seraphim Global Index. The slowdown was driven by to the sudden shut down of Airware, equity market sell-off and volatility. In addition, commercial market adoption has been slower than expected, partly due to regulatory restrictions from security and privacy concerns. With over 3,000 global drone startups, further shake-out and consolidation are likely as winners emerge in this nascent and dynamic market. Optimistic about long term new market opportunities for drones and robotics. This consolidation is part of a healthy evolution driving a new revolution, in our view. Advancement in Artificial Intelligence (AI), sensors, secure and resilient drone communications will lead to more intelligent unmanned systems capable of making decisions and predictions. New sensor data collected by drones will be a key part of Big Data analytics driving Digital Transformation. Over time, smart drones and robots will automate a wide range dull, dirty and dangerous tasks, from self-driving cars to drone delivery, creating new commercial and military markets. In this note, we share our observations of business and technology trends of the drone industry, highlight key VC transactions and leading players, as well as Seraphim’s strategic investments in the sector. Lastly, we discuss implications of the recent FAA Reauthorization, which opens further commercial drone opportunities by addressing security concerns and continuing UAS integration into the national airspace. Drone investment has shifted to software, AI, Computer Vision enabled end-to-end solutions over the last two years with DJI dominating hardware and consumer. Key investment drivers: 1) Tech enabling autonomous vehicles and drones such as self-driving car, flying taxi, delivery, security drones, 2) End-to-end enterprise solutions delivering useful insights from drone collected data, and 3) Tech enabling safe operations; counter-UAS and UAS traffic management. VC funding is concentrated in a handful of players such as DJI, PrecisionHawk, , Kespry, DroneDeploy, Saildrone, Skydio. Chinese drone maker DJI is said to have raised $1 billion at a $15 billion valuation in April with sales of $2.8 billion last year. DJI is expanding into enterprise and has added payload and software delivering end-to-end solutions. A recent market survey by Skylogic Research shows that DJI is gaining in every product category with almost 75% of global aircraft market share, up from 50% in 2015. DJI has also made huge gains in payloads, its RGB camera, sensor, gimbal combination now accounts for nearly a third of all purchases. As for software, DJI is the market-share leader in flight logging and operations, and automated mission planning. PrecisionHawk raised $75 million in a Series D round Q1 this year. The company provides fully autonomous UAV performing low altitude aerial data collection and subsequent data management and analysis. PrecisionHawk has historically focused on the Agriculture market, but it has expanded into Energy/Utility and Insurance through 4 acquisitions this year and a strategic partnership with EagleView (the leading aerial data and analytics provider for the Insurance market). The acquisitions brought Energy domain expertise, advanced software/analytics, and a network of 15,000 certified drone pilots. Kespry raised $33 million in a Series C round Q4 last year. The company offers full stack autonomous drone with end-to-end solutions. Kespry targets heavy industry such as Construction and Mining where topography is important. It entered into an exclusive global partnership with leading equipment supplier John Deere to distribute its drone solutions. While it continues to make its own hardware, it has also partnered to integrate DJI collected data into its cloud platform for analytics. Kespry is focused on higher-value capabilities such as thermography and precision GPS position. Skydio raised $42 million in a Series B round Q1 this year. Skydio was founded by former Google drone engineers to create a self-flying camera. The company launched an AI-powered drone capable of real-time mapping, navigation, and can follow and record a subject autonomously without any controllers. The technology could be useful for a wide range of applications, from inspections to mapping, monitoring and security. Saildrone raised $60 million in a Series B round in Q2 this year. The company is building a fleet of 1,000 ocean drones to collect data to monitor weather and ocean conditions (environment) real-time and manage fish populations. DroneDeploy raised $25 million in a Series C round in Q2 this year. DroneDeploy is one of the largest cloud-based drone data platforms with a community of 30,000 users having mapped 30 million acres in 180 countries. DroneDeploy plans to invest in AI and expand in the Energy, Construction, and Agriculture industries. At Seraphim, we’ve made several strategic investments in this sector. (i) Altitude Angels is the leading European player in the drone air traffic control UTM market, and (ii) Nightingale drone-as-a-service using autonomous drones to replace/augment security guards at large commercial and government sites for perimeter security, and (iii) Transrobotics, a component supplier to drone market which has cleverly adapted a WiFi-chip into a highly sensitive low-cost radar. We also have a number in stealth that we’ll be revealing soon. Plan to propose rules next May on a Remote Identification system to track registration and utilization of all UAS, including recreational drones. Expand UAS testing and require the development of an Unmanned Traffic Management (UTM) Network. Foster development of sense-and-avoid and other technologies at UAS test ranges. Prioritize Rulemaking on expanding operations beyond visual line of sight (BVLOS), at night and over persons. This would expand commercial drone operations and open urban applications such as package delivery. More flexibility for FAA to approve advanced UAS operations. Test Counter-UAS technologies; extend Counter-UAS measure authority to the Department of Homeland Security, Department of Justice to shoot down unlawful drone. Role of state/local authorities in UAS regulation and enforcement against unlawful UAS operators.